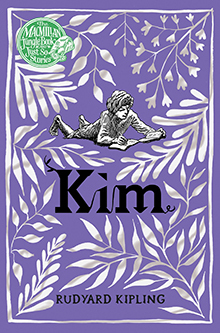 As the original publishers of The Jungle Book, in 2016 Macmillan will mark the 150th anniversary of the birth of Rudyard Kipling. We’ll be celebrating with exciting new editions of some of his most famous works. as the original publishers of the jungle book, in 2016 macmillan will mark the 150th anniversary of the birth of rudyard kipling. we’ll be celebrating with exciting new editions of some of his most famous works, filled with beloved characters including mowgli, baloo, bagheera and shere khan. younger children can also meet the jungle book characters in new novelty and activity book formats, designed just for them. download the jungle play pack. first published by macmillan in 1895, and now returning to print in this beautiful edition, the second jungle book is a sequel to rudyard kipling's classic, the jungle book. mowgli, the boy raised by wolves learns more of life and survival in the indian jungle in the company of well-loved characters such as baloo the brown bear and bagheera the black panther. with a beautiful foiled cover, this edition of rudyard kipling's much-loved classic is a book to treasure. in a vividly drawn india of the late 19th century, orphan kimball o'hara is on the cusp of manhood. living as a beggar, it isn't until kim befriends an aged tibetan lama that his life transforms: the old man is on a quest to find the legendary river of the arrow and achieve enlightenment, and together they embark on an adventure through this impoverished, beautiful, chaotic nation in the grip of the great game, the conflict during which the british and russian empires raced to control central asia. but when kim becomes a pawn in the game, he must face the most difficult choice of all: his companion or his country? this beautifully produced colouring book contains all your favourite characters from kipling's classic story - mowgli, baloo the bear, bagheera the panther, kaa the snake, not forgetting the terrifying tiger, shere khan. many of the drawings in this book were inspired the original illustrations by kipling's father, j. lockwood kipling, who illustrated the first edition of the jungle book, published by macmillan in 1894.
after being washed away down the wainganga river during a flash flood, mak wakes up alone in the indian jungle. the jungle is full of danger - poisonous snakes, cunning monkeys and desperate poachers - and every step mak takes might be his last. mak finds help and friendship from other jungle creatures, but he will need all his skill and luck to survive and make his way back home. 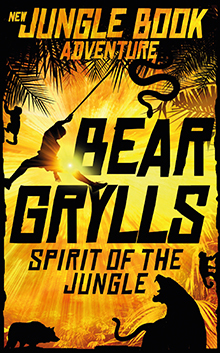 a heart-stopping contemporary adventure inspired by rudyard kipling's classic the jungle book, from real-life adventurer bear grylls. the wild adventures of mowgli in rudyard kipling's the jungle book are well-loved, timeless tales of growing up and finding a place in the world. first stories: the jungle book is a perfect introduction for young children to this classic story and its host of animal characters. push, pull and slide mechanisms to bring the story to life and see favourite scenes in action. mowgli, baloo, bagheera and of course the fearsome tiger shere khan are all beautifully imagined by miriam bos in her bold, appealing illustrations.